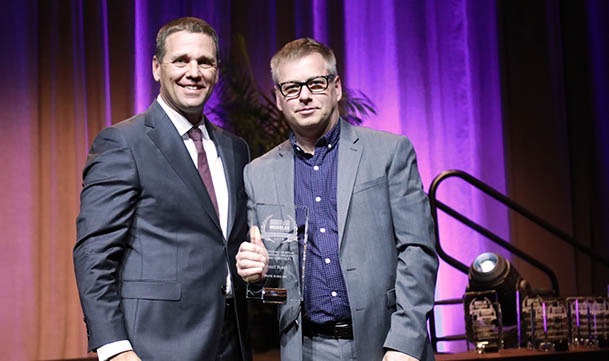 At the Modular Building Institute’s annual conference, World of Modular, Panel Built, Inc. received a first-place award in recognition of one of our modular construction projects! With Lee Baenninger and Isaiah McPherson in attendance to accept the Award of Distinction, Panel Built took home first prize in the “Relocatable Modular Workforce Housing Under 10,000 Sq. Feet” category. Lee & Isaiah with the award. The honor was awarded to a Panel Built project at the Burlington-Alamance Regional Airport in Burlington, North Carolina. Along with Tri-Lift NC, Inc., Panel Built provided a 3,800 Sq. Ft. two-story modular office building, including two prefabricated, steel stair systems that offer access to the second floor. The building was constructed for the National Agents Alliance, an insurance and marketing firm that is located in the area. 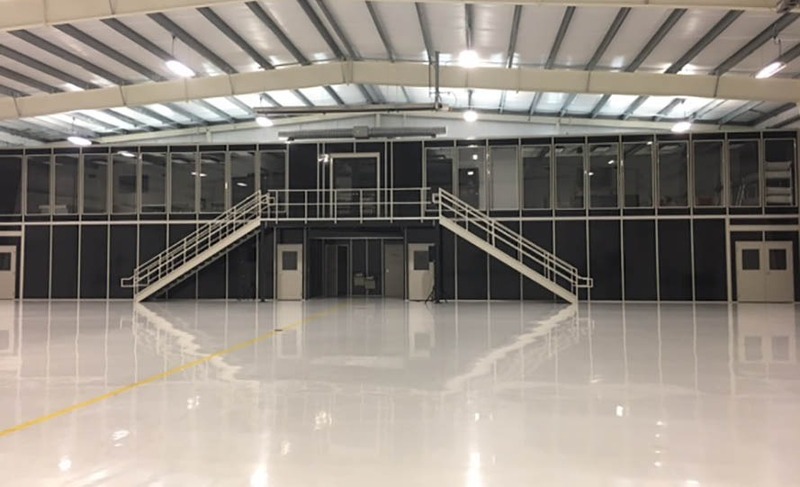 It was erected inside the company’s own jet hangar and is used to provide lodgings to the company’s pilots after completing cross-country sales trips. Additionally, it offers a wide range of amenities and features. Panel Built wants to get the word out to its MBI partners about our versatility. Everyone needs to know that if they don’t have a conventional solution for their customers that they can call Panel Built, and we most likely will have a solution. 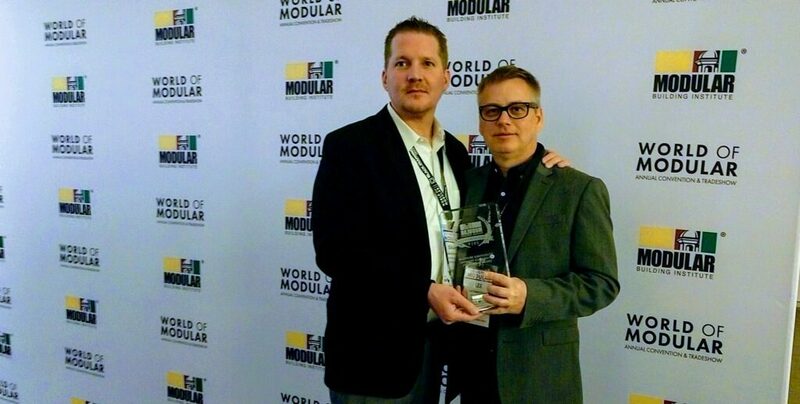 Going forward, Panel Built looks to have continued success at the World of Modular’s Awards of Distinction. If you have a project and you think modular construction could help provide a solution, give us a call at 800 636-3873 or send us an email to info@panelbuilt.com. 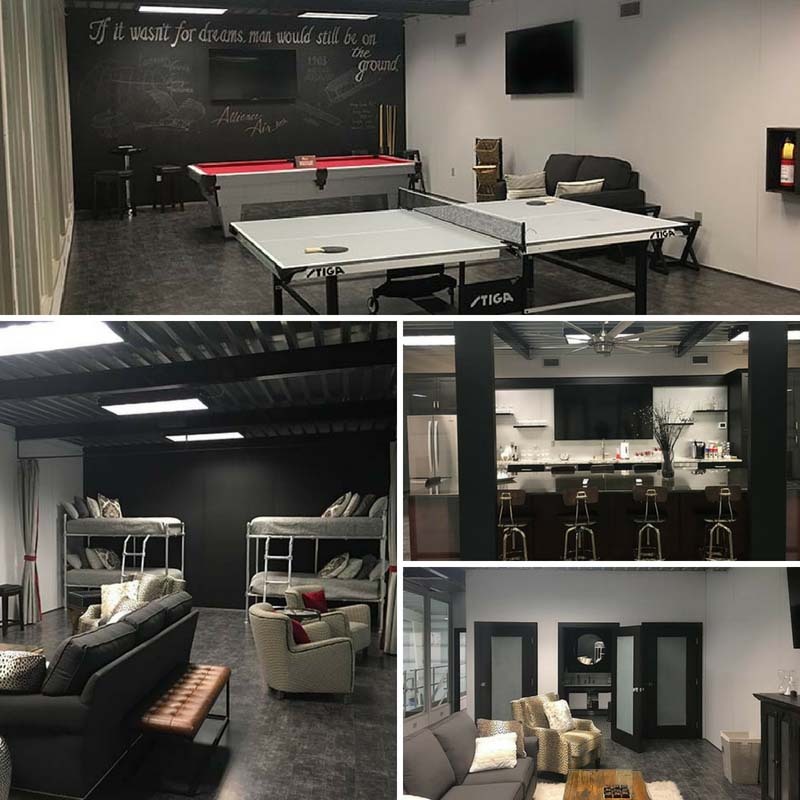 We strive to provide the best possible space solutions with excellence and great customer service. And who knows?.. Our next award winning project might just be with you! Take a Tour of the Award Winning Project!